Welcome to those of you joining me from My Dreams of Disney and those of you just hopping aboard. I am the 3rd stop on our Magical Blogorail. My family always drives to Walt Disney World since we live in Alabama. We usually work a full day then pack the car up when we get home and drive to Lake City and spend the night so that we can arrive early on check in day and make the most of our Disney vacation. Our room is rarely ready when we arrive so we check in and get our key cards (I guess in the future it will be our Magic Band) and head to our park of choice. Sometimes that park is Epcot, sometimes it's Animal Kingdom, sometimes Hollywood Studios - but it has not been Magic Kingdom as of yet. I guess it gives us something else to look forward to - as if just being there isn't enough. Our favorite mode of Disney transportation are the ferry boats. I'm not exactly sure why we prefer the ferry boats, maybe because we stayed at Wilderness Lodge on our first WDW vacation and it was the best way for us to travel to the parks. You can bet we are hopping on a boat shortly after arrival, most of the time it's to an early lunch reservation - gotta keep our strength up for all that walking around the parks. A search for souvenirs is another must, on our last trip Dakota had to have some guitar picks and a Who t-shirt, Mike got a new ball cap and a new ornament for the Christmas tree is mandatory. Don't forget when shopping you can have your purchases delivered to your resort so you don't have to carry them around the parks. 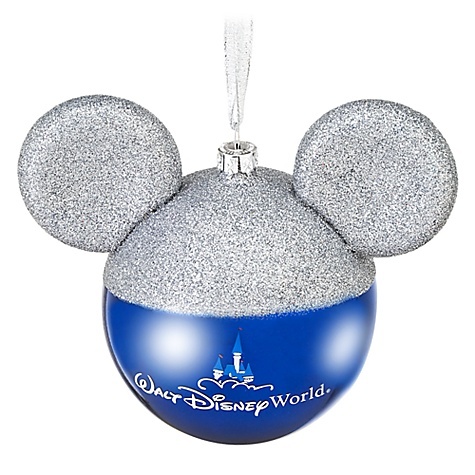 By the way, if you get your ornament on the first day the hubby will be more likely to forget when you get another one later in your vacation. What do you like to do on your arrival day? Be sure to comment and let me know . Good point about buying your ornament early! LOL That made me laugh. I'm surprised that Ashley hasn't found - and purchased - guitar picks yet. Where does Dakota get them? We got them at the store in the United Kingdom at Epcot on our last trip. They were with all of the British invasion t-shirts and music memorabilia. I will see if I can get a picture of them and post it on Facebook. Haha good idea about the Christmas ornament! We always get drum sticks at DHS for Tyler but I've yet to find guitar picks. That would be a great souvenir, where do you get them? Deb, we go the picks at the store in the UK pavilion in Epcot. The were close to the British invasion t-shirts and such if I remember correctly. If I had the money I would go home with the enough Christmas ornaments to decorate another tree. They are my weakness. That is very interesting Donna that you haven't been to the Magic Kingdom on that first day...when we do go to the parks on our first day, it's almost always the Magic Kingdom. Great post, and thanks for sharing it! MIke, I am not sure why we haven't visited MK on the first day, I don't really know that it is by design it just hasn't happened yet. I get the feeling that when we take Lexi and Tripp it may be mandatory. Wouldn't it be nice if the rooms were ready for check in at 10 am?! 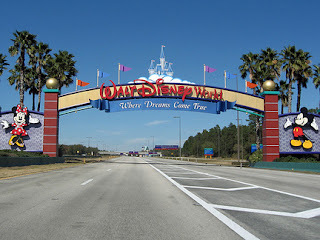 :) On our arrival day we usually head to Downtown Disney and eat at Sandwich of Earl, grab groceries and unpack. That would be great Hayden, but I must say Disney does a good job of taking care of guests who's rooms are not ready yet. Sounds like DTD is a popular destination for the first day, maybe I need to change up my routine next time. This is great. We usually go shopping at DTD toward the end of our trip, or on our last day! Don't you just love all things Disney? Even thinking about what you have done brings a smile to your face, doesn't it Donna? It really does Brenda, I don't have a trip on the radar and I still love thinking about past trips. I also love reading about all my friends Disney adventures!! I like that you check off souvenirs first thing. It can get stressful if you haven't found one near the end of your stay. When Dakota was little and was really into rubber snakes and those kinds of things it was great how mousekeeping decorated the bed with them. Another good reason to get fun souvenirs early!! I totally relate! We have also spent the night outside Orlando, but usually we leave AL early in the morning to head down. I also like to get most of my shopping done ahead of time. That way I'm not scrambling at the end of the trip to get what I want! :) Great read!! I'm quite a bit closer than your Beth, if I were in north Alabama we might not wait unitl after work. Myabe one day when you're coming through Troy we can finally meet!! Shopping - what a fun way to start the trip! We normally shop at the end, but i like that! Shop early so that you know everyone gets a souvenir they want, then at the end of the trip if maybe you can get a second one. I really have to budget myself in the Christmas store in DTD!! It sounds like a wonderfully relaxing first day! I tend to agree with you, Donna, and not doing the Magic Kingdom the first day is the best idea. Sort of building up the anticipation. And you know, that 'trick' of buying an Ornament the first day worked with baseball caps as well! Thanks Bruce, Glad we aren't the only family who doesn't hurry off to MK!! We are not huge souvenir people, but we all seem to have our "one thing" we love and just have to have.